Bluff Magazine issued a statement today in which they announced that they would be terminating the employment of Chris "BluffmagCV" Vaughn. Vaughn placed himself in the center of a storm when it was revealed that he had sold his Full Tilt Poker account to Sorel "Imper1um" Mizzi late in a major Sunday tournament on Full Tilt Poker. The "BluffMagCV" account, which was now being played by Mizzi, ended up taking down the tournament for a big score. A week later, Vaughn took down the Pokerstars Sunday Million under his account "SlippyJacks", but so far there have been no accusations of wrong-doing in regards to his Pokerstars win. 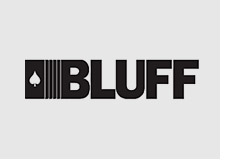 It was revealed to the community that Mizzi had logged into the "BluffMagCV" account late in the tournament, which was in blatant disregard of Full Tilt Poker's rules. 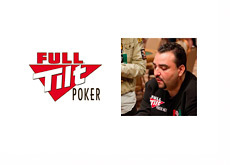 Full Tilt Poker investigated and ended up banning both Vaughn and Mizzi for their site, and confiscated all funds. Vaughn was the Managing Editor of Bluff Magazine, and Bluff Magazine continued to stand by him, even as these allegations came to light. Bluff initially stated that although they were disappointed by Vaughn's poor judgment, there were going to keep him on as Managing Editor. Obviously Bluff Magazine received pressure that caused them to change their minds. It is unknown whether it was an advertiser or perhaps angry subscribers that caused them to ultimately terminate Vaughn's employment. Do you believe that Vaughn deserved to be terminated?